My comparison of the US version of this book compared to the UK version will be towards the bottom of this review. I really like the designs in this coloring book. Each of the Dr. Who’s are represented in the book and are shown in an interesting silhouette style design with their heads literally filled with pertinent elements from their time as Dr. Who. There is a similar one for Missy as well. I took the time today to finish my personal favorite, the Tenth Doctor Who and the Tardis in Time and Space. The designs are well drawn with good black lines. Some designs are fairly open and easy to color while others are more intricate and will be a little more challenging but still a lot of fun. When I first saw this coloring book, it reminded me of a poster in the church I attended when, as a young adult, I first became a Christian many years ago. The poster was a real testament to me because it listed all of the names of God. I remember sitting in Bible Study and contemplating those names and trying to understand His infinite presence. Fast forward more years than I care to remember and I get the same feeling when I am coloring in this book. There aren’t that many coloring books I have that I know beyond a shadow of a doubt that I will color each and every page. This is one of those books. It goes beyond coloring for me and speaks to my spirit. The artwork is a combined effort of three artist (Nicole Wallace, Chris Dugan and Terry Dugan.) Their publishing name is Marie Michaels. Each of the designs has a name of God as the central focus. Along with that is translation of what the particular name means (examples: El Olam The everlasting God, Adonai Lord and Master, and Alpha and Omega the Beginning and the End), a Bible verse and cite, and finally an illustration that ties all of it together. The illustrations range from flowers to geometric and are fun and fairly easy to color. The translations used in this coloring book are: New American Standard Bible, New King James Version, Holy Bible New International Version (NIV), and the Holy Bible New Living Translation. The designs are printed on one side of medium weight perforated paper. The binding is glued. All of the designs either have a framing line around the outside or have finished elements. I really appreciate the care the artist takes by doing this. It saves me time, trouble, and ink. It also gives me a natural stopping point which gives my projects a better overall appearance. I was easily able to break the spine of the book to get it to lay flat for coloring. All brands of markers, whether alcohol or water based, bled through this paper. All other mediums, including coloring pencils, left a shadow on the back of the page and a bit of a dent, too. The gel pens did not require extra drying time. The soft lead coloring pencils went on thick and creamy and were extremely easy to blend. I use a heavier piece of paper (card stock, chipboard, etc.) under the page I am working on to keep from damaging the next designs. It is hard to believe that this is a coloring book reprinted from the 1960s. The style of the designs and the subject matter is so contemporary that it fits in with many of the more abstract coloring books that are being released today. The designs are printed in a horizontal format book (wider than it is long) with come of the designs turned on end. There are abstracts as well as designs that have the “doodle” style that is so popular today. This is a lovely coloring book depicting the wildlife of the British countryside as well as the surrounding flowers and plants. It includes foxes, owls, stags, birds, cows, sheep, rabbits, squirrels and more. The designs are drawn with firm, dark outlines and are made extra fun to color with enlivening doodles throughout the animals. There are a number of geometric, sort of wall paper designs and a few fun challenges (mazes, areas to color yourself, etc.) which makes the book a little bit of an activity book as well as a coloring book. The designs in this book are printed on both sides of white medium weight, non-perforated paper. The binding is glued rather than sewn (which is unusual for a coloring book from the UK.) Many of the designs merge into the binding and some portion of them will be lost if you cut the pages from the book. I could not break the spine enough to get the book to lay flat. This could be a problem with designs that merge into the binding. Thirteen of the designs spread across two pages. In my book, the pages were not aligned well. It seems to be a printing issue rather than an alignment issue. I found that the elements at the center of the each side of the binding doubled slightly. That left me with a design that could not be aligned properly. This may be particular to my book or it may be a general issue. I am thinking a more general issue as the images were sized a particular way rather than printed improperly on the page. Because of this alignment issue, the problems with trying to get the book to lay flat, and because most coloring medium bled through the paper, I detracted a star from my rating. The designs are absolutely five star but the execution of the printing and the paper had problems. I still like my coloring book and will certainly color the single page designs. All alcohol-based markers bled through this paper easily. The water-based markers either bled through or left a distinct color shadow at the back of the page. My India ink artist pens also left a shadow at the back of the page. My gel pens left a shadow of indistinct color on the back of the page. All of my coloring pencils performed fantastic. The book is published by Derwent and is supposed to be especially good with Derwent Coloursoft pencils. I found that Prismacolor Premier Soft Core and Faber-Castell Polychromos worked just as well on this paper. My hard lead Prismacolor Verithins laid down nicely and did not leave a dent on the back of the page. I have enjoyed all of Millie Marotta’s previous coloring books (Animal Kingdom and Tropical World). Her coloring books are of the natural world around us. In Wild Savannah, Ms. Marotta circles the globe with animals from various grassland areas. This includes the traditional African wildlife but also animals of Northern Australian, South America, and even Asia. By taking this point of view, the coloring book is filled with diverse and interesting animals and, for me at least, it makes me stop and think about the areas that the animals inhabit. There are so many animals in the coloring book, including zebras, elephants, rhinoceros, lions, flamingos, various insects, hippopotamus, and much, much more. There are many designs which either focus on or include birds. Of the 74 designs in the book, five of them are semi-duplicates of the opposite page. As with her other coloring books, Ms. Marotta has included a few of these duplicates which do not contain the high level of detail of their twin. This allows the doodle artist or the blending artist a canvas to make those designs their own. This particular book is the UK version. The US version will be released in a few months. I will do a comparison of the two coloring books at that point and will include my comments about any differences that I find in the comments section below. I would edit the text of this review but currently there seems to be an issue with editing reviews with photos. 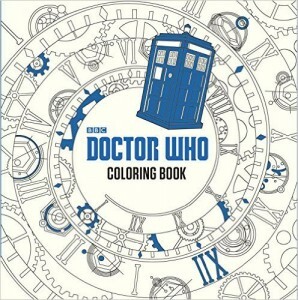 The book is in the larger square format that is typical for many British coloring books. The book cover is very pretty. It has touches of color and gold foil on the front of the cover. You could certainly color the remainder of the design if you so choose. The inside of both the front and back of the cover have a fold out flap and artwork similar to that of the front of the cover is printed for coloring fun. The designs are printed on both sides of white heavyweight, non-perforated pages. There are also 14 designs which spread across two pages. The pages in my book were well aligned. There are 60 single page designs. Some of the single page designs and all of the two page designs merge into the binding of the book. As the binding is sewn rather than glued, you can easily remove several pages at a time by snipping a few threads. I was able to break the spine and get the book to lay flat for ease of coloring. All alcohol-based markers bleed through the paper easily. All water-based markers either bled through (especially Stabilo) or leave distinct shadows of color on the backside of the page. India ink artist pens also leave a color shadow. My various gel pens left a slight darkening on the backside of the page noticeable but I could not tell the color of each just that they were there. My coloring pencils did the best of the various medium. They went on well and blended well; however the soft lead pencils were not quite as good a coverage as I have had with other books. My hard lead pencils went on true to type and did not leave an indent at the back of the page. The Bible Coloring Book is the combined artistic efforts of two artists, Tammie Trucchi and Claudia Wolf. The artwork is a combination of Old Testament Bible verses (Ms. Wolf) and drawings that depict famous scenes from the Old Testament (Ms. Trucchi.) The translation used in this book is from the King James Version of the Bible. There are so many designs in this book, it is a real pleasure to shift through and decide which one to color next. The designs have intricate details and for the text illustrations, I found that using my Prismacolor Verithins worked best. I was able to get the control that I wanted and get into the smallest parts of the font. I am really enjoying the coloring book. It is a beautiful way or directing my Bible reading. When I am coloring a scene or a verse, I pick up my Bible and read through it beforehand. That way I a immersed in the story and teaching while I am coloring. I have used a 365 day Bible before and find that this book is somewhat similar. I am coloring one scene and one verse per week and letting it direct my studies. I sincerely hope these artists will publish a similar book for the New Testament to round out my coloring and Bible study at the same time. The designs are printed on one side of non-perforated white paper. The book is in a smaller format than most coloring books. The designs all stop well before the binding. The scenes have a framing line around them and the verses have all elements complete on the page. I really appreciate this care in design. It gives me a natural stopping point and saves me time and ink. I always try to mention when an artist takes this extra step. The binding is glued rather than sewn so you will have to cut pages out if you wish to remove them from the book. I was easily able to break the spine in order to get the book to lay flat. My tests with various coloring mediums (see below for the full list) showed that all alcohol-based markers, water-based markers, India ink pens, and gel pens leaked through or cast a color shadow on the back of the page. My coloring pencils also showed a shadow but worked well with the paper. The soft lead pencils went on thick and blended well. The hard lead pencils left an indent at the back of the page. I am using a blotter page behind the page I am working on to keep ink and indents from harming the rest of the book. I found this book to be interesting in that most Christian coloring books are either general in nature or are specific to a continuing theme throughout the Bible. This book is dedicated to only Psalms 23. It is not only a coloring book but a Bible study guide that can be used in a group or by an individual. While the source translation of the Bible is not specified, it appears to be to be from the King James Version. As each part of the Psalms is discussed (with background history and information), there is also a design which can be colored. The book is entitled Volume 1, so I am expecting that there will be more of these books published perhaps dedicated to other single subject thoughts or chapters of the Bible. The designs are very pretty and are hand-drawn which makes coloring extra special for me. The book is printed on both sides of the page; however, the coloring designs are on one side of the page only. The binding is glued rather than sewn. As the paper is not perforated, you will need to cut pages out if you wish to remove them. Some of the designs merge into the binding and some portion of the design will be lost if you cut them out; however, there is nothing of importance in that area. As I was easily able to get this book to lay flat by breaking the spine, I will be leaving the pages in the book for coloring. In testing with various coloring mediums, this is what I discovered: all markers, whether alcohol-based or water-based, bled through the paper. My India Ink pens also bled through. My gel pens left a color shadow on the back of the page. My coloring pencils worked well with this paper, which the soft lead pencils blending easily. The hard lead pencils left a bit of an indent on the backside of the page. I will use a blotter page with this book to keep the rest of the book in good shape and color with whatever medium I chose knowing that the words on the back of the page will have colors seep through. In the comments section below, I will list the coloring medium I used to test this book. I was provided a free sample of this coloring book for test and review purposes. 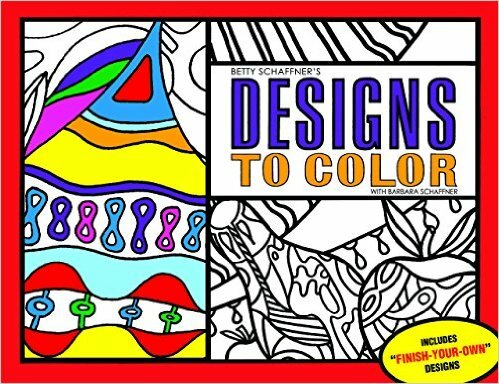 This is a coloring book with 90 pages of designs. What you really get is 45 different animal designs with each one printed twice with a different background color. There might be subtle changes in the two designs but for the most part, nothing of much consequence. The designs are licensed from Shutterstock.com as are many other animal coloring books these days. I have seen and have colored a few of these from other books. What seems to be different is that the doodle pattern is not the same as what I have colored previously so perhaps what is being licensed is the line drawing and Barron’s is having their own artist do the fill-in work. In any case, same images but a different coloring experience for me. The designs are printed with the same animal front and back. I will list the 45 animals towards the end of this review for anyone interested. The designs are mostly in one or two colors with black lines on white paper in the minority. Backgrounds are mostly dark blue with some gold tone, black, and white. The printing is a variety of the same colors. If you use a coloring medium that bleeds through the page (see below), you will need to choose which side of the page you prefer but at least it will be a decision between the same animal rather than losing a completely different design. The doodle designs are intricate but in most cases not to the point of having tiny, almost impossible to color elements. There are a couple where the elements get fairly small but I will probably just use a single color over those spots rather than try to do them separately. The animals are mostly shown as head shots with a few exceptions for various birds, a chameleon, and an octopus. The cover is very pretty with touches of silver foil. The designs are printed on both sides of generally colorful background perforated paper. I really appreciate that Barron has included perforations in this book as most of their previous ones lacked this. If only they would stop printing on both sides of the page. The book is glue-bound rather than sewn but that should not be an issue as you can remove pages at the micro-perforations. I was able to get my book to lay fairly flat by breaking the spine. My alcohol-based markers all bled through the paper. My water-based markers and India ink artist pens all left shadows of color on the backside of the paper. My gel pens did not bleed through or leave shadows on the back of the page. My coloring pencils worked extremely well with the soft core pencils blending beautifully. I will either remove pages from the book as I go along or use a blotter page under the page I am working on. In the comments section below, I will list the coloring medium I used to test this coloring book. The animal designs included in this book are: tiger, owl, orangutan, hummingbird, polar bear, horse, reindeer, chameleon, koala, eagle, monkey, octopus, wolf, panther, sheep, cat, walrus, raccoon, camel, elephant, carp, deer, frog, board, lemur, bear, giraffe, otter, panda, antelope, lion, hippo, pug, dove, hyena, bison, turtle, wombat, goat, sloth, fox, beaver, parrot, meerkat, and sphynx. I have made translucent soap before but had never tried making soap with lye. This book is beautiful but I don’t think that it is the first book for me to use as a beginner. 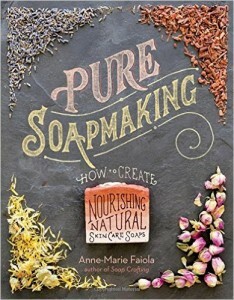 In reading through it, I realized that there are many more steps to soap making than I had realized. The book is wonderfully detailed and beautifully photographed. So much so, that it makes me want to buy it and try to make the soaps that are described. Realistically, I should buy a more simple beginner’s book to walk me slowly through a basic soap recipe. I will do that and still pick up this book in paper format so that I will have it ready when I am ready to try the more complex formulas that make up the lovely soaps. I think it is a lovely book and one that provides a lot of useful information. I was provided a temporary digital advance reader copy of this book by the publisher, Storey Publishing, LLC, via Netgalley. I have really enjoyed this series of coloring books by various designers. This new book is by artist Lori Siebert. The designs are mostly of flowers and nature scenes and in each design, Ms. Siebert has incorporated one of God’s promises (along with the Bible cite.) When I am discouraged or feel down for whatever reason, I have found that looking to the promises that God has made for me can lift my spirit up and help me to deal with whatever crisis has occurred. There have been times in my life when I felt that I was overwhelmed and that there was no way out of the darkness. On my own, that would be true but each time I have been able to find a promise that I could hold cling to even if it was simply that God will give me rest. This will be a coloring book that I will turn to when I am feeling like the world is simply too much. That happens a lot these days which so much going on around us. The book has 37 different promises which absolutely will not be broken. I will pick the one that speaks to me in that day and reflect on it as I color. The translations used in this coloring book are: New American Standard Bible, New King James Version, Holy Bible New International Version (NIV), Holy Bible New Living Translation and the Living Bible. The designs in the book are printed on one side of non-perforated medium weight white paper. The binding is glued rather than sewn, so you will have to cut out pages if you wish to remove them from the book. The designs stop before the binding so if you wish to remove them, you won’t lose parts of the design when you carefully cut them out. I was able to get the book to lay flat by breaking the spine. All markers I tested bled through this paper. All other mediums, including coloring pencils, left a shadow on the back of the page and a bit of a dent, too. The gel pens did not require extra drying time. The soft lead coloring pencils went on thick and creamy and were extremely easy to blend. I am using a piece of card stock as a blotter page under each page I work on to prevent any damage to the rest of the book. This is something that I routinely do with almost every coloring book I own. In the comments section below, I will list the coloring medium I used in testing this book.